Home » Connectivity » Econet launches Dial-a-Doc service. At 70c/minute how will the market react? 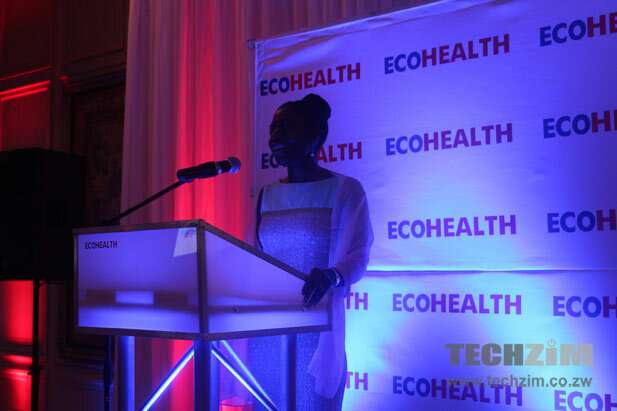 Earlier today Econet Health, the health services delivery arm of the mobile network Econet Wireless, officially launched the Dial-a-Doc service. The last time we wrote about Dial-a-Doc it was still undergoing a pilot run and it was available for free. Today it was formally introduced to the market with a premium rate of 70 cents a minute. Other than a price that has been attached to the service, the other notable bit of information from the launch was the fact that the service will be made available on social media platforms and via SMS in the next stage. While the 70 cents premium rate has triggered some debate on the cost of such a service, the biggest challenge for Dial-a-Doc actually lies in the inability to offer a prescription, or refer users to another practitioner to get one. This leaves a subscriber with a need to assume the cost for another visit to a medical centre for the prescription. In any case, the service does seem like a noble way to help alleviate the strain on available medical resources. the challenge, however, lies in convincing a subscriber that a 5-minute call on Dial a Doc is a better option than a visit to a State clinic where consultation will cost $5. Given a doctor’s consultation fee of $20, I will speak no more. I think its a good service if only it were thought through before being launched. Coz all that’s needed for the prescription is a central system accessible to the Doctor, Patient & Pharmacist….just saying. I re-read the article, then I re-read your comment but I have to admit I’m at a loss. Could you point out the part where TZ ‘crushed’ this idea? Given the sensitive nature of health, I would still prefer to see a doctor who can correctly analyze my health rather than get it on phone where I could experience a fatal misdiagnosis. there is grave danger in releasing half baked apps. Econet has really lost the plot this time .i see there is an element of unethical behavior here and a possibility of catastrophic diagnosis. I think its a good idea especially when someone is feeling ” not right” but not so sure as to whether they should go and see a doctor. It will be a sounding board. However my question is this , will the person at the other end be a real Doctor? If so, how do we know. What are their ideal use cases? Is it for when you get Manyoka *from a wedding*? Why? Becauseto do a diagnisos, doctors do not just hear the patients explain, never mind that some people struggle to explain their condition, Drs also have to see and watch cues from the patient. Also, Zim Drs, do a lot more guessing than first world Drs because of lack of medical technology. What do you mean by “first world doctors”? First world doctors. Doctors … From the first world … Trained with proper resources .. Where all the rich from our country go to when seeking medical attention. Most of the comments raised are notable concerns. However, I feel there is a need for a comment from a practicing MD. I remember 2 guys that once wrote an article on TZ about e-Health. Maybe they could give a comment on this iniative. Just my thoughts. Doctors are not allowed to prescribe meds over the phone. I’m just thinking out loud here: what will you do if a family member choking and you do not have first aid experience? are you going to call an ambulance and wait til they get there to help your loved one? Or if it’s midnight are you going to wait til morning to go to the nearest clinic when you can get advice on how to make it better? You can think of plenty more situations where the service will help you. Admittedly there are many cases where one will be referred to a doctor but what if that $3.50 for 5minutes is all you have to pay compared to the 20 or 30 a doctor will charge you for telling you “you need bed rest”? After reading the same article from different publishers I can safely say Techzim has gone to the dogs. Clearly this is not a substitute for seeing a doctor but rather a cheaper way to contact real doctors for us who cannot afford and get medical advice. Imagine you wake up with some funny lumps, at some funny place. Instead of paying $35 consultation to see a doctor who will tell that its nothing serious its perfectly normal so relax, use $3.50 and get that information. So to all geeks who made some comments there, you might want to get news elsewhere and get enlightened. My dear Techzim, take your time before publishing, listen to yourself and verify your stuff. Its so disappointing to get poison from a trusted well. Google Images + Google Search + WebMD +drugs.com and I have a diagnosis that is going to be just as accurate as the above if not more accurate seeing as if I have a physical symptom e.g. skin irritation I can check google images for similar images and find out what I may have and get peace of mind. I would not pay the $0.70 per minute. Secondly one has to think that if I have enough airtime when the emergency strikes, it probably means I am well to do, in which case CIMAS/FIRST MUTUAL etc to the rescue… cue MARS or EMRAS and hey presto I am sitting at AMI Borrowdale or whatever it is called these days. If I dont have the airtime I am still going to try call 112 or 999 failing that I will call Mars with the little airtime I have. If someone is choking as above. The person on the other end while dispatching an ambulance may give me some advice. A good idea, but if you want it to stick, bundle it with Steward Health or something as a benefit that differentiates you for the others, then push your premiums up by a dollar a month.